The Best Style blogs from thousands of top Style blogs in our index using search and social metrics. Data will be refreshed once a week. 2.64 En Brogue | Love fashion. Love shoes. Hate heels. 2.90 Katie Like Me - Plus sized fashion and life. Style newsletter is a comprehensive summary of the day's most important blog posts and news articles from the best Style websites on the web, and delivered to your email inbox each morning. To subscribe, simply provide us with your email address. Amsterdam About Blog I started StyleScrapbook over 7 years ago because of a need to share my dreams, my goals and my story. Facebook fans 1,808,042. Twitter followers 73,825. Facebook fans 767,906. Twitter followers 50,808. NYC About Blog New Yorker Danielle Bernstein found her now cult-status style blog, We Wore What which covers everything from fashion to interior design to menswear, your single-source destination for the delectable world of Danielle. Check back for up-to-date info on the nightlife-leading, plant-slutting, Frenchie-coveting entrepreneur. Facebook fans 181,962. Twitter followers 35,450. Texas About Blog Jane Aldridge is one of the earliest pioneers of the personal styling space, having launched her industry-adored blog in 2007. Sea of Shoes covers everything from editorial photography and lifestyle content, pretty clothes to Women's style, outfits, beauty, fitness travel and more. Facebook fans 38,855. Twitter followers 95,541. Brooklyn About Blog The blog aims to give the curvy plus size woman a different perspective on fashion by showing them how to shop within and outside the plus size realm to get celebrity looks and to create their own personal style. Facebook fans 46,629. Twitter followers 10,469. LA About Blog Le Fashion covers the latest in trends, street style, beauty and editorials, while also sharing style inspiration, ways to get the looks and my latest shopping picks. Facebook fans 32,871. Twitter followers 15,434. Milwaukee, WI About Blog Wantable.com is an online lifestyle service for busy people on the go, providing premium products tailored to your unique tastes, wants, and needs. We'll select the perfect pieces and deliver them straight to your door each month. Build the wardrobe of your dreams. We’re here to guide you every step of the way. Facebook fans 362,319. Twitter followers 43,259. Sydney About Blog Margaret Zhang is a Chinese-Australian stylist, photographer, director and writer based in New York. Facebook fans 86,250. Twitter followers 194. London About Blog A Freelance Fashion Stylist working and living in London. This blog is not about living off toast every night. This is an affordably stylish guide to dressing well. Facebook fans 4,846. Twitter followers 11,707. Los Angeles & New York About Blog Ashley Weston is a top Celebrity Menswear Stylist and Men’s Style Expert as well as a Contributing Fashion Editor for GQ International. In her day-to-day work as a Menswear Stylist, she has to dress her clients to look their absolute best in their personal lives and also in highly scrutinized situations like premieres, TV show appearances, magazine spreads and advertisements. Facebook fans 2,837. Twitter followers 4,567. Melbourne, Australia About Blog Imogen Lamport is a certified Image consultant and personal stylist. Helping all women of every stage and age, size and shape discover the clothes and style that suits them with easy, practical everyday style solutions. Facebook fans 2,095. Twitter followers 1,852. Facebook fans 25,462. Twitter followers 13,687. New York About Blog She’s a style icon for girls with curves, pouring her figure into everything from minis to bodycon dresses to short shorts and thigh-high gladiators with more confidence than J-Lo. The entire concept of her blog is fearlessness, being comfortable with who you are and what you wear. Facebook fans 998,977. Twitter followers 37,916. New York About Blog Penny Pincher Fashion has become synonymous with style on a budget. Kimberly is known for her closet creativity and her innate ability to stretch her dollars. She is passionate about finding the best fashion and beauty for less and helping you make the most of your wardrobe without breaking the bank. Facebook fans 19,501. Twitter followers 10,588. New York City About Blog This blog offers you guys interesting and relevant posts from dapper combinations to edgy streetwear and from daily outfit inspirations to curated shopping selections. Facebook fans 45,582. Twitter followers 4,365. About Blog With the newly re-launched site, BagSnob.com, by Tina Craig, expect insider access to the ultimate curation of style. She has worked as a brand ambassador, consultant, designer, and stylist, collaborating with the most venerable brands. Facebook fans 131,304. Twitter followers 164,211. Bangalore, India About Blog I am Shalini Chopra, a fashion, style and beauty blogger, from Bangalore, India. I buy in luxury boutiques but also in casual stores. My goal is to show you how we can be beautiful, trendy, stylish in every sense, pondering the purchase according to the latest trends of the moment ! Facebook fans 187,346. Twitter followers 15,410. New Zealand About Blog What started out as a New Zealand-based streetstyle blog and has since evolved to include personal style, travel, how-to styling guides, editorial, beauty, and streetstyle from around the world. Facebook fans 183,104. Twitter followers 5,486. Los Angeles, CA About Blog Lauren Messiah is a personal stylist based in Los Angeles and the President of School of Style. Facebook fans 6,455. Twitter followers 8,878. Canada About Blog Blogging came about in 2007. Eventually, I branded myself as The Wardrobe Stylist. I was fortunate enough to work with a long list of clients for photo shoots, ad campaigns, fashion events, and covered coveted fashion week events as a blogger. Facebook fans 3,281. Twitter followers 6,588. Miami About Blog Nany's Klozet is a Miami fashion blog by Daniela Ramirez featuring the latest fashion and beauty trends, local events, and personal style. Facebook fans 82,681. Twitter followers 15,087. England About Blog I am Soraya, a Parisian and I am living in the UK. If you ever need help with personal styling, personal shopping, wardrobe analysis, wardrobe maintenance and help shop for that special occasion I would love to help, no matter your budget or lifestyle I will try to meet your individual needs. Facebook fans 57,944. Twitter followers 1,755. AZ • UT • SD About Blog Dash of Darling is a personal style blog curated by Caitlin who shares her fashion finds, beauty tips, and decor favorites one photo at a time. Facebook fans 20,799. Twitter followers 5,826. Cape Town - South Africa About Blog A Dandy's Diary About All Things Dapper. Here you will find the where, what and how of mens style as well as the fun finds of living a gentleman’s life on the tip of Africa! Facebook fans 22,513. Twitter followers 3,984. Vancouver, BC About Blog The August Diaries is a style blog where European chic meets West Coast sophistication in a simple and effortless way. Jill Lansky shares her expert style tips and tricks, the latest trends, easy beauty tutorials, and travel guides. She empowers her readers to become the best version of themselves and use clothing as a means to gain confidence. Facebook fans 16,060. Twitter followers 6,392. Facebook fans 15,474. Twitter followers 1,536. Hong Kong About Blog I started this blog on a whim with a friend in high school, and to this day I've been using it as a primary platform for creative expression- be it sharing personal style posts to travel video diaries and music playlists. Facebook fans 15,423. Twitter followers 247. Louisiana About Blog Louisiana based fashion and lifestyle blogger Jennifer Palpallatoc of Haute Off The Rack strives to help women feel confident and beautiful in their clothing by sharing her personal style reviews while also educating her readers on new brands and trends. Her ultimate goal is to maximize her readers’ outfit options by presenting stylish new looks. Facebook fans 6,615. Twitter followers 2,500. Denver, Colorado About Blog My love for fashion keeps growing everyday and through this blog I would love to share this passion that I have and inspire others to enjoy it as much as I do. A daily dose of fashion you will find here in Chic Talk, I hope you enjoy it! Facebook fans 4,765. Twitter followers 1,329. London About Blog I love fashion. I keep a photographic diary of my outfits. I have a blog. Facebook fans 2,490. Twitter followers 1,476. Portland About Blog Lavenda’s Closet was launched in January 2014 as Lavenda's lifestyle journal and fashion diary. Her passions have always included writing, fashion photography, fashion and all things creative, so her blog became a combination of these. Facebook fans 6,210. Twitter followers 904. Kentucky About Blog Hi there! I’m Shelby and welcome to Glitter & Gingham! I am a twenty something who has an affinity for stacking my jewels a little too high, while putting together outfits that are applicable for everyday wear. Follow along as I find my way through life, one outfit at a time! Facebook fans 2,672. Twitter followers 3,473. New York City About Blog Monroe Steele founded Fashion Steele NYC in 2010, it has since become a staple in the New York City fashion scene. Fashion Steele NYC is a personal fashion, lifestyle and travel website where luxury, thrift and high street meet that showcases her life and shopping experiences in New York City. Facebook fans 2,340. Twitter followers 2,979. Houston, Texas About Blog Flaunt and Center is a platform to help people feel inspired and a little more put together, so they can devote a lot more time in other areas of their life. So whether you’re looking to find the perfect date night ensemble, or an outfit to wear to a Sunday brunch, no worries, I’ve got you covered. Facebook fans 1,749. Twitter followers 4,831. 64. En Brogue | Love fashion. Love shoes. Hate heels. London About Blog En Brogue is a blog about stylish flat shoes written and illustrated by Hannah Rochell, Fashion Features Editor at InStyle magazine in London. You’ll find nothing on here but stylish flat shoes and inspiration on how to wear them, along with a few of my illustrations to boot. Facebook fans 1,326. Twitter followers 3,385. Facebook fans 1,131. Twitter followers 1,141. Connecticut About Blog Oh So Glam began in 2011 as a personal style blog and a way for Christina to connect with women to share her love of fashion. It has since turned into her full-time job and has expanded to include beauty, lifestyle, home decor, and world-wide travel. Facebook fans 7,104. Twitter followers 4,754. Houston,TX & Phoenix, AZ About Blog Catherine and her daughter, Taylor, are Arizona girls that started A Fashion Fiend. Catherine has always been a fashion enthusiast that was introduced to the fashion world by her Grandmother who shares the same passion. Facebook fans 1,119. Twitter followers 393. Indianapolis About Blog Sweenee Style is a blog that is dedicated to sharing my personal style, outfit ideas, diy's, helpful hints and fun! My style is affordable yet classy. I personally think it doesn’t take a lot of money or designer labels to be well dressed. Facebook fans 1,529. Twitter followers 217. Oklahoma/Texas About Blog This blog is my visual style story that showcases what to wear and where to wear it. The whimsical name comes from my nickname as a child. My goal is to expose readers to unique and accessible fashion ideas, dreamy places, and new beauty products to help inspire them on their own style journeys. Facebook fans 3,200. Twitter followers 4,075. Newport Beach, CA About Blog Allie Wears is a personal style blog showing you how to have fun with fashion without breaking the bank. The blog documents Allie's personal style, her passion for fashion, & her experience along the way. Facebook fans 2,037. Twitter followers 1,458. Edmonton, AB About Blog A Canadian fashion and lifestyle blog with a focus on personal style, home decor, beauty, and more. Facebook fans 710. Twitter followers 1,221. Alabama About Blog I want to share all the beautiful things that catch my eye and have a special sparkle to them. I love fashion. Fashion moves me beyond the surface. Fashion moves me to a place that excites me and ignites a spark in me. This website is home to both my personal style and creative work. Facebook fans 1,201. Twitter followers 118. Vancouver, BC About Blog A Vancouver based fashion blog by Claire Liu featuring personal style outfits, travel, food, and other inspiration. Facebook fans 9,623. Twitter followers 314. New York, NY About Blog The Werk! Place is a contemporary lifestyle brand dedicated to enhancing and highlighting the lifestyle of women through a fashion lens. The Werk! Place explores all aspects of today’s woman. Whether it’s personal style, travel, success, failure and transition, the motto is to ‘Werk It!’. Facebook fans 2,739. Twitter followers 802. Howard County, MD About Blog I began blogging with one goal in mind - to document my personal style journey through thrifting. Todat WNJ has evolved into much more. Not only does does it showcase my personal style evolution, but it also serves as a source of inspiration for women all around the world. Facebook fans 1,889. Twitter followers 2,545. Dallas, TX About Blog My name is Jaclyn, and I am a little taller than the average woman. I hope to bring a dose of my style and lifestyle to this blog. Facebook fans 226. Twitter followers 82. Albuquerque, New Mexico About Blog Hi everyone! I am Ciera Hudson. I have always loved fashion, beauty, fitness, and travel. And I hope to share that all with you guys here! I enjoy spending time with my family, and navigating motherhood in my own stylish way. Facebook fans 334. Twitter followers 722. About Blog There’s something about Brandi’s style we can’t quite put our finger on. Maybe it’s the incredible vintage finds she lands, or how her looks are the perfect balance of simple and stunning. Whatever it is, she’s good. Facebook fans 37. Twitter followers 224. About Blog I write about fashion, my travels to other cities and countries, different cultures and foods that I have been able to experience and showcasing international style. With both fashion & travel, I love to show how you can dress stylishly and have an amazing time in beautiful destinations no matter your budget! Facebook fans 426. Twitter followers 395. Utah, USA About Blog Not your average fashion and lifestyle blogger. Classy and Whimsical. Facebook fans 377. Twitter followers 217. London, England About Blog HøFSisters is a tall fashion blog by sisters Hannah & Zoe; a dedicated resource for tall women looking to discover new brands and style ideas. Facebook fans 202. Twitter followers 297. Boise, Seattle, Portland About Blog StyleSpyGirl.com’s mission is to help women cultivate their own personal style, by reporting on shopping, fashion, and beauty items that are both trendy and classy, encouraging individual taste, and educating women on how to embrace their own unique beauty. Facebook fans 2,303. Twitter followers 1,110. Chicago About Blog Browse like-new maternity outfits, check out what to wear in the office, and take a look at pre-loved combinations that couldn’t be easier for moms to wear. If you’re shopping for your own little ones, you’ll especially love April’s section on kid fashion. Facebook fans 692. Twitter followers 787. About Blog Where Height Meets Unconventional Style. Hi! I'm Sabrina Theresa and I love fashion but clothes shopping as a 5'9" tall woman requires creativity. On the site, I give tips and tricks to make your clothes work for you and to embrace your style in an unconventional way. Southern California About Blog With my love for shopping and keeping up with the fashion scene, I hope to inspire by sharing how I style pieces on a taller body frame, where I find them, and helping you save a few coins while being effortlessly chic. Through my personal journey I hope to inspire others to stand tall and confident in style and life. Facebook fans 173. Twitter followers 270. 90. Katie Like Me - Plus sized fashion and life. Indianapolis About Blog I'm Katie, a twenty-four-year-old personal style blogger hailing from Indiana. Katie Like Me is an outlet of stylistic creativity geared towards those who love personal style, the fashion industry and day-to-day life. Facebook fans 102. Twitter followers 81. San Francisco, CA About Blog StyldLife is a beauty/lifestyle platform where clients from around the world book remote styling appointments with international celebrity and professional hair stylists, makeup artists and fashion stylists. StyldLife stylists will guide you through the prosess, step-by-step. Read throughts and musings from StyldLife hair, makeup and fashion stylists. Facebook fans 115. Twitter followers 50. About Blog My name is Atinuke Olubunmi Akindiya. I love keeping up with trending fashion styles, however, I personally define my fashion. My reason is simple, I believe that you don’t have to follow the crowd. You can be unique, stand out and still be beautiful. Honestly if you do so, people will love you for it, many of them will imitate you and viola! You would have created your own fashion style. I know it sounds simple but that’s because it is actually very simple. The Netherlands About Blog Sietske Lamers is an online influential & fashion communicator. She consistently gravitates toward a clean palette, and does so with intention, for it’s how she wants to leave her mark as a style blogger. Through her clean palette she also gravitates to timeless pieces that forever earn a spot in her closet - pant suits, silk blouses, shirt dresses, and duster coats. Facebook fans 5,719. Twitter followers 1,266. Texas About Blog Plus Size Style Blogger, Cali girl in a Texas world playing dress up and loving my curves. Facebook fans 555. Twitter followers 319. Newark, NJ About Blog The fashion, beauty, and lifestyle industries have been outlets for my life long journey of self-discovery at every capacity. From the way I present myself, to the skill sets I possess to my career choices, fashion has been and continues to be, the driving force for figuring it all out. Fashion is a mere extension and enhancement of me. Facebook fans 658. Twitter followers 781. Pittsburgh, PA About Blog Pittsburgh based life and style blog by Sydney Carver, that boasts classic, timeless style with preppy influences and a ladylike twist. Facebook fans 3,084. Twitter followers 4,115. LA About Blog I'm Sydnie and I'm 6'1 and I would define my style as Classically Chic. In the fashion blogging world, there are a sea of possibilities, but I have an objective with every one of my posts: to put together timeless outfits that don’t compromise fit or your budget. Facebook fans 189. Twitter followers 130. Wisconsin About Blog Lady Jane is a style blog based out of Madison, WI. It was created as an outlet for my love of piecing clothing together to make something new each day. Facebook fans 223. Twitter followers 88. Orem, UT About Blog Hi there! My name is Nichole Terry and this is me sharing my style with you! My whole life I have always literally stood out, and been shy, so I decided to put my self out there, and own it! Facebook fans 90. Twitter followers 169.
reno About Blog A life, style, & encouragement blog by Abbey Kay. Facebook fans n/a. Twitter followers 300. About Blog I have always had a love of fashion and great style. I have always enjoyed organising and styling my own wardrobe and often had friends ask me for help with shopping or putting together outfits... and so an idea started to grow that personal styling could be my next career. 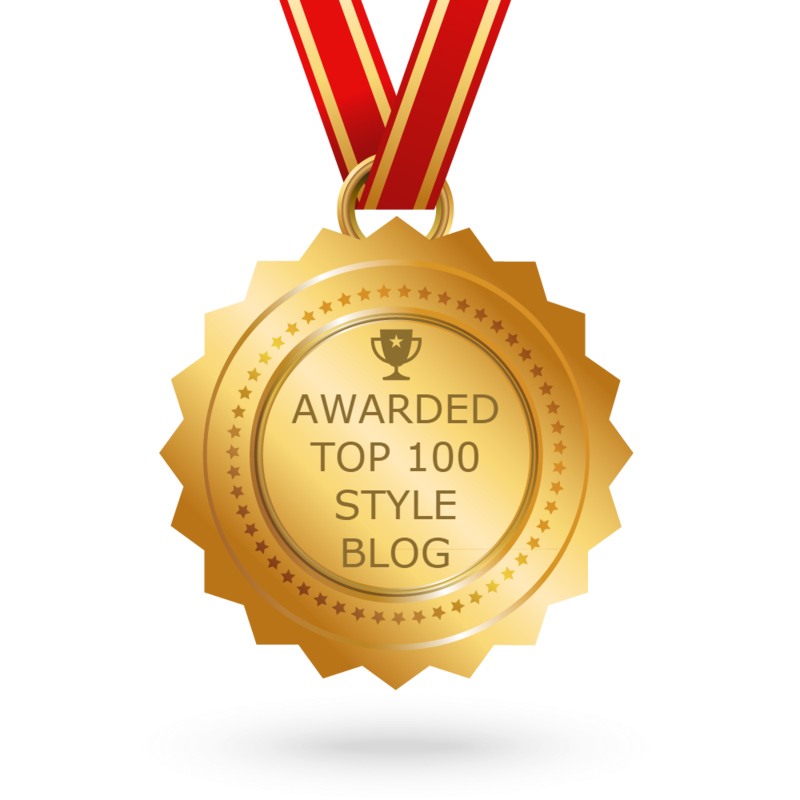 CONGRATULATIONS to every blogger that has made this Top Style Blogs list! This is the most comprehensive list of best Style blogs on the internet and I’m honoured to have you as part of this! I personally give you a high-five and want to thank you for your contribution to this world.